AMENDOLA & CERVIA - IAP CHARTS ! 2 extra charts for Amendola and Cervia , military airports in Italy are ready . 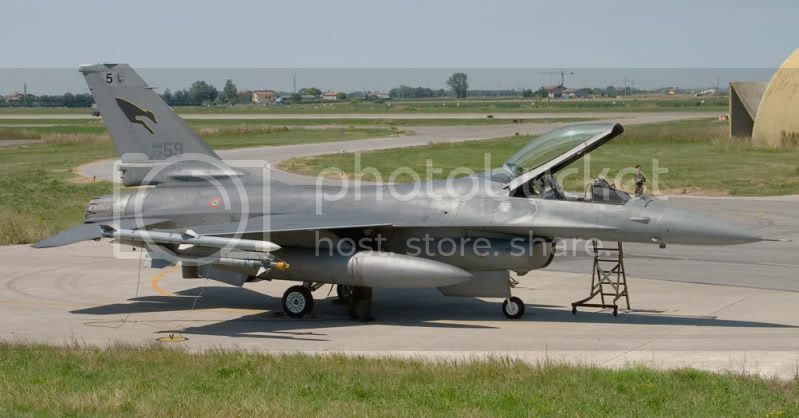 Cervia (LIPC) military airport in Italy was the base for 5 Stormo (Wing) 23 Gruppo (Squadron) with F-16A/B block 15ADF , until 4 June 2010 when the 23 Gruppo was disbanded . 1) It is critical that at FAF waypoint be at precise altitude with landing gears down and air brakes extended . Then at FAF DME start your descent with 2.5 deg. 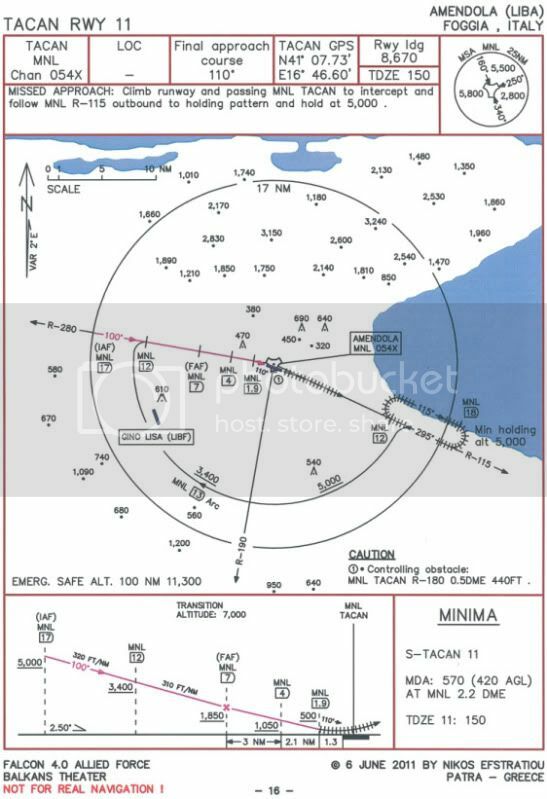 There is always an intermediate waypoint between FAF and last waypoint (that you turn to final approach course) just for altitude check and minor corrections . 2) In order to have a perfect alignment with runway centerline and because of fact that the DME of the last waypoint has a decimal digit , you must insert GPS coordinates of TACAN station over a steerpoint , so you can turn to final approach course aligned with runway centerline at exactly DME of last waypoint . from section "Balkans Theater" -> file "Balkans IAP Approach Chart Package" . Package also includes kneemap , TACAN list , IAP General Info Balkans (pdf) and 13 previous IAP charts . Well enjoy your landings with safety at Amendola and Cervia airports .